Bladder exstrophy represents one of the most significant neonatal urologic anomalies a family may face. It has an overall incidence of 1 in 50,000 births and occurs in a 3-6:1 male to female ratio (Engel 1974; Ives et al. 1980). Cloacal exstrophy occurs even more rarely, with a reported incidence of up to 1 in 400,000(Engel 1974). However, the incidence appears to be decreasing as more and more patients are being diagnosed prenatally with subsequent parental termination of pregnancy. A number of prenatal ultrasonographic features have been found that correlate with exstrophy in the newborn, including an absent bladder, lower abdominal protrusion, an anteriorly displaced scrotum and small phallus in males, a low-set umbilicus, and pubic diastasis and iliac crest widening (Gearhart et al. 1995). Nonetheless, the majority of infants born with bladder exstrophy are not identified prenatally and still only present in the newborn period (Skari et al. 1998). Therefore it is incumbent on the physician to recognize this rare anomaly and treat these unique patients in an efficient and effective manner. 1985) (Fig. 8.26). 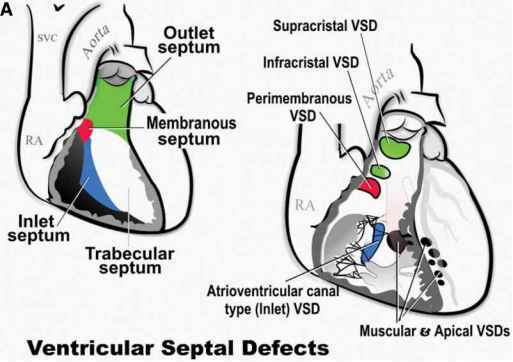 Appropriate screening investigations, such as echocardiography, abdominal and spinal US, as well as complete blood work, will aid in the identification of concomitant congenital defects. clamp and redundant umbilical tissue excised. The friable bladder mucosa must be protected and remain moist until definitive operative closure. A nonadherent cellophane dressing and frequent saline soaks will protect the bladder mucosa; alternatively, a modified humidifier tent maybe utilized in order to protect the fragile bladder plate. Patients should be managed in a qualified exstrophy-closure center where both technical expertise and ancillary support services exist to provide the best possible care for these complex infants. Most patients can safely undergo reconstructive surgery in the first few days of life. Two techniques have emerged which, depending on the surgeon's preference, are most commonly utilized for exstrophy repair. The modern staged approach consists of initial abdominal wall and bladder closure in the newborn period with or without iliac osteotomy followed by epispadias repair at 6-18 months of age, and finally, bladder neck reconstruction in order to gain urinary continence around 4 - 6 years of age (Baker and G earhart 1998. In contrast, the complete primary repair of bladder exstrophy (CPRE) advocates incorporating the epispadias repair at the same time as abdominal wall and bladder closure in the newborn period (Grady and Mitchell 1999). Modifications of this technique are emerging and some authors have even performed both a mini-bladder neck reconstruction as well as ureteroneocy-stostomy for VUR at the time of neonatal CPRE (Borer et al. 2005). 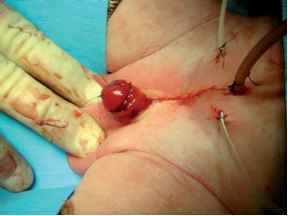 Regardless of the technique employed, the goals of exstrophy surgery include a secure abdominal wall and bladder closure, protection of the upper urinary tracts, urinary continence, and cosmetically and functionally acceptable external genitalia (Cook et al. 2005) (Fig. 8.27).